Whether you’re after a quality Bournemouth roofing installation or you’re looking for a reputable company to carry out essential repairs, here at Pro-Roofing, we’re ready to help. As the domestic, commercial, industrial and heritage roofing experts, there’s nothing our highly qualified team can’t put their skills to. Call us today to arrange your FREE quotation. With a passion for providing the highest quality roofing Bournemouth has to offer, we pride ourselves on sourcing the best materials around and exercising the very best capabilities. 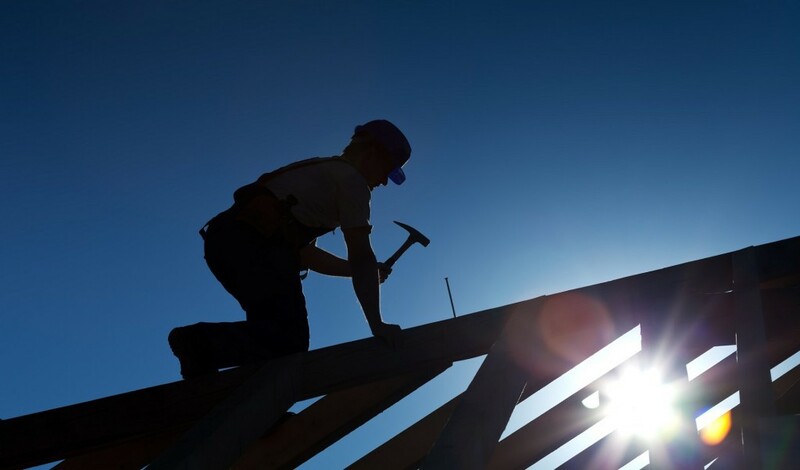 Every roof that we supply is built strictly in line with building rules and regulations, and our highly skilled team are dedicated to making sure that each measurement is correct to the exact figure so you experience years and years of reliable service from any roof supplied by our Bournemouth roofing team. Whether you’re looking to convert your roof from one style to another or you’re looking for a company you can trust to construct a stunning new roof for the home you’re building, look no further than our roofing in Bournemouth service. On the other hand, if you’ve been experiencing issues with damp and mould, it may be because your roof has a fault. Our roofing Bournemouth team are trained to recognise the signs of damage, and will work hard to ensure that your roof is providing effective protection once again as soon as possible. Below, we’ve given you some information about what you can expect from our Bournemouth roofing services. We provide a complete installation service for anyone requiring roofing in Bournemouth; from helping you to decide on the most suitable shaped roof for your property to carrying out leadwork, installation of Velux windows, and uPVC facias and soffits. To ensure that we provide you with an accurate quote to carry out our roofing Bournemouth service, we’ll study your building plans and discuss the materials that you would like us to use – we can provide you with free samples so you can take the time to weigh up your options. Once we know the style of roof you’re after, the materials you require and the measurements involved, we’ll provide you with an accurate quotation that fully itemises the costs of each stage of the build. If we’re providing a roof for a new build, we’ll work alongside all parties involved to ensure that work on your roof starts at the appropriate time. 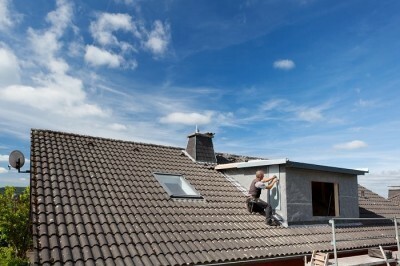 If you’re having a roof replacement, we’ll arrange with you a convenient day to commence the work. Our roofing in Bournemouth team will then apply all of their expertise to deliver a roof that exudes quality. Whether your roof has been largely compromised by the effects of adverse weather or you keep experiencing random damp patches, our team have a wealth of experience in getting to the root of roof problems. Equipped with scaffolding from our convenient in-house store and materials to make sure your roof is made watertight, our roofing Bournemouth team will be on hand as soon as possible to take control and assess the situation. Once they have a complete picture of the extent of the problem, they’ll be able to advise you on the cost to carry out the repairs. We’ll do our best to source and supply matching tiles to ensure that any work that we carry out blends seamlessly with your existing roof design. We understand that heritage roofs require particular attention to detail. From restoration through to repairs, a select few of our roofing in Bournemouth team have received specialist training in order for them to complete any project in accordance with the strict rules and regulations supplied by the Heritage sector of the National Federation of Roofing Contractors. Why should you choose Pro-Roofing? 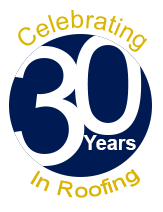 We have been providing Bournemouth roofing services for over 30 years. In that time, we have built ourselves an incredible reputation based on a combination of the level of skill we display and the standard of customer service we deliver. In fact, we’re so confident in the quality we provide, we guarantee all of our roofs for 10 years. Every member of the Pro-Roofing team has undergone extensive training to ensure they achieve the very best results. In addition to this, we make sure each of our roofers has undergone thorough health and safety training using government approved courses. Understanding that having a roof repaired or installed can be a stressful time, we make sure that you’re kept fully up to date with the progress and we’re on hand to answer any questions that you may have regarding the project. If you’re looking for the best Bournemouth roofing company, look no further than Pro-Roofing for an expert service. Contact us today to arrange your FREE quotation.